Shanghai has officially unveiled its latest piece of innovative architecture: a 15-meter-long 3D printed footbridge. 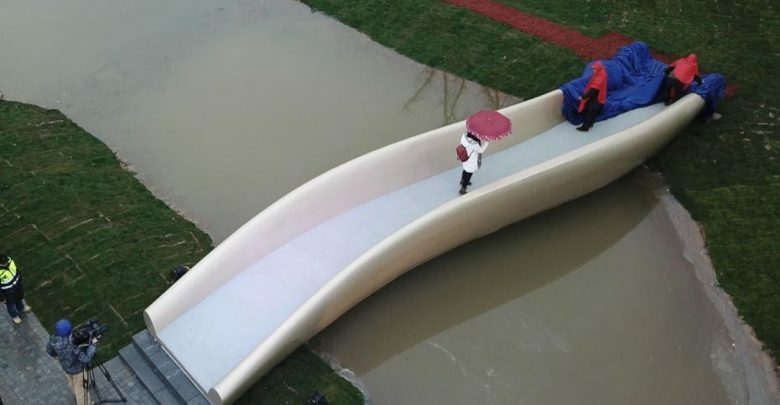 The pedestrian bridge, 3D printed in partnership with Polymaker, a Chinese developer of 3D printing materials, is the first of its kind in China. 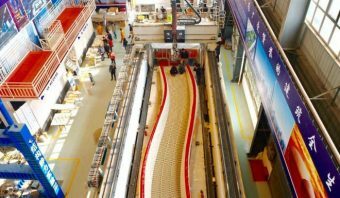 The 3D printed bridge recently inaugurated in Shanghai has been in the works for some time and is the product of a collaboration between Polymaker and the Shanghai Construction Group, one of the world’s largest construction firms. 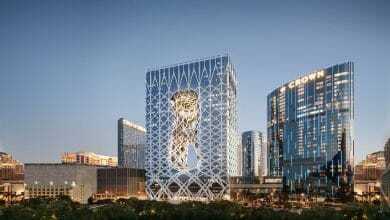 In fact, the bridge was 3D printed at a Shanghai Construction Group facility using a massive polymer 3D printer. The bridge marks the first structure produced using the large scale machine. 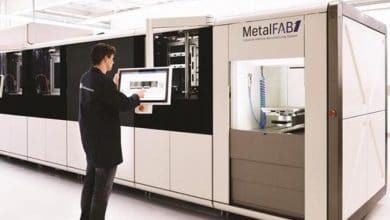 The 3D printer, which spans 24 x 4 x 1.5 meters, was built by Shenyang Machine Group and Coin Robotic, which supplied the extruder system and the print bed. 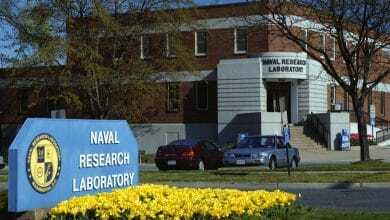 The massive 3D printer was the product of an investment of roughly $2.8 million. 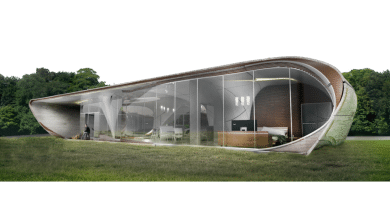 Turning our attention back to the footbridge, the 3D printed structure is made from a specially developed material consisting of ASA and glass fibers (which account for 12.5% of the material by weight). The material used offered beneficial properties, including wear and chemical resistance, thermal stability and good toughness. The glass fiber reinforcement adds significant strength to the bridge—a crucial feature considering it will be supporting people—and helped to reduce warping during the print process. Warping was also minimized during the print process thanks to an expansive bellowed tent that was heated to 38°C and which moved with the gantry. Blankets were also placed upon the print to slow down the cooling process and to protect the structure from dust. Other challenges that arose when printing the large-scale bridge were layer levelness and layer adhesion. In the case of the latter, engineers had to find a way to keep printed layers at the right temperature for bonding. 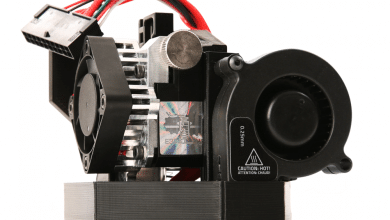 Because each layer of the bridge took considerable time to print, by the time the extruder came back around to start a new layer, the underlying one had cooled too much. To overcome this, the engineers equipped the print head with four hot air guns with the capacity to reach 600°C. These air guns worked to ensure that the print area was at the right temperature to bond properly. For layer levelling, the team of engineers reportedly relied on on a tamping method, which compressed each layer as it was printed so that the top of the layer would be perfectly level rather than slightly tapered. For first layer adhesion, ASA pellets were stuck to wooden planks clamped onto the steel print bed, a rudimentary but effective solution. 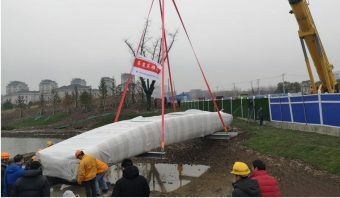 Evidently, there are faster and more cost efficient ways to construct a pedestrian bridge, but the Shanghai Construction Group and Polymaker were aiming to showcase their construction 3D printing capability in a tangible and usable way. The bridge, which is rated to support 13 tons (or four people per square meter), is now open to pedestrians.